The talented volunteers and activities of the Beaver Area Heritage Foundation and Museum regularly are in the news and make news. Oct. 19, 2013 – The Heritage Foundation holds its 46st Annual Charter Day celebration at Old Economy Village in Ambridge, PA, including a short tour of the buildings and grounds, followed by dinner and the evening’s agenda of presentations and recognition of volunteers Bob Frederick, Charlene Murray, the late Alice Gault, the late Bob and Anne Firestone and the late Bill Irion. At the dinner, longtime museum trustee John McLaughlin receives a “Lifetime Achievement Award” for his “vision and tireless dedication of time, commitment and support.” As well, the 183 Taylor Avenue home of Dr. and Mrs. William Slemenda receives the prestigious Harry Phillips Award for restoration and beautification of their residence. The “Ghost Station” is a first-ever joint fundraising event spanning six nights with Big Brothers Big Sisters of Beaver County. Details. Oct. 5, 2013 – The Beaver County Genealogy and History Center, a tenant of the Heritage Foundation at Beaver Station, is tapped as an affiliate library of FamilySearch, the world’s largest repository of free genealogical records which manages the famous Family History Library in Salt Lake City, Utah. FamilySearch has billions of birth, marriage, death, census, land and court records of genealogical significance from more than 130 countries, meaning visitors to the Beaver facility will have greater, more convenient access to a wealth of resources, including some 235 rolls of microfilm delivered this week. 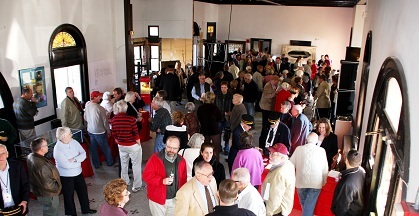 Oct. 4, 2013 – During Homecoming Weekend, the Heritage Museum plays host to the 30th reunion party of the Beaver High School Class of 1983, including 75 alumni and guests in attendance. The event includes tours of Beaver Station and the museum’s “Trains, Trains, Trains!” display as well as a DJ playing oldies of the early ’80s and delicious food and cold beverages inside the log house and adjoining tent. The reunion committee includes Chris Poff King, Lisa Livada and Laura Staub. Beaver High School Class of 1983 reunion, left to right: re-connecting again after 30 years; delicious food in the log house; group photo at the museum entrance. Oct. 4, 2013 – The Heritage Foundation hosts the annual Beaver Tales event at the gazebo in Irvine Square, with three storytellers weaving their magic and sharing a sense of wonder and delight with audiences of all ages. This year’s storytellers include Bobby Norfolk, Susi Wolf and Cathy Jo Janssen. Oct. 4, 2013 – At the free Senior Expo at Community College of Beaver County, hosted by Pennsylvania State Senator Elder Vogel Jr., the Heritage Museum has an information table and recruits several new volunteers. In addition, representatives from a number of state and local agencies are on hand to provide useful information for seniors on healthcare, government services, and more. There also are door prizes, refreshments, and health screenings all free of charge. 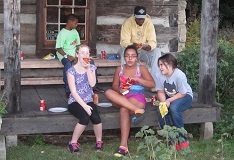 Sept. 24, 2013 – The Heritage Museum hosts a special tour for Big Brothers Big Sisters of Beaver County, providing an opportunity for 15 pairs of littles and bigs to enjoy time together and experience the Steelers Train, cooking johnnycake in the fireplace and much more. It’s the first of many events planned with BBBS to serve the educational needs of children at risk and provide them with strong and enduring, professionally supported one to one relationships that change their lives for the better. July 26, 2013 – The summer 2013 edition of The Bridge magazine, published by the Commissioners of Beaver County, contains a full-page article about the 200-year-old log house and campus at the Heritage Museum as a center for educating students and adults alike about the rich history right in their own backyard. July 17, 2013 – New signage now stands along Third Street to advise motorists and pedestrians about the construction and fundraising currently underway at Beaver Station which ultimately will create a new multi-use cultural and event center enhancing our community. Those interested in making an online donation may do so via the PayPal link on the Beaver Station website. July 11, 2013 – Beaver Area Heritage Museum Co-Chair Stacey Sullivan makes a presentation about the museum’s “Trains!” exhibit and Beaver Station at the Beaver Valley After Five Christian Women’s Club, held at the Beau Co Bistro in Beaver. July 7, 2013 – The Heritage Foundation presents the annual Concert in the Park at Beaver’s gazebo for about 600 spectators under warm summer skies. The concert is underwritten by the Beaver Festival Committee and supported by the Beaver County Times. The program, performed by the 60-member Beaver County Wind Symphony Orchestra led by conductor Ted Nevin, features a series of popular medleys of patriotic and Hollywood selections. Longtime Heritage Foundation official Robert Smith serves as master of ceremonies. May 29-30, 2013 – For two mornings, the Heritage Museum and log house hosts a field trip for first graders from College Square Elementary of the Beaver Area School District, part of the museum’s mission to educate young students that history is right in their backyard. View a summary of the event, including a gallery of drawings by the students of their favorite part of the field trip. Learn more about the museum’s educational outreach to local schools. May 27, 2013 – Beaver’s annual Memorial Day Parade, sponsored by the Heritage Foundation, features members of the Tuskegee Airmen organization, World War II Battle of the Bulge veterans and the Revolutionary War-era Fort McIntosh Garrison and Civil War-era 163rd Pennsylvania Regiment re-enactment groups. At the memorial program at Beaver Cemetery, keynote speaker and Beaver County District Attorney Anthony Berosh gives remarks, and Beaver Area High School senior Nicholas Knapesky recites the Gettysburg Address. Above, Memorial Day honorees include veterans representing the Tuskegee Airmen, Battle of the Bulge, Vietnam War and Beaver firefighters. Below, women pioneer re-enactors and the annual ceremony of remembrance at Beaver Cemetery. 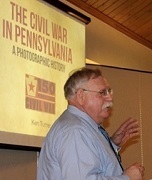 May 21, 2013 – Historian, author and business owner Kenneth Turner of Ellwood City speaks about his book The Civil War in Pennsylvania: A Photographic History, published by the Heinz History Center as part of Pennsylvania Civil War 150, a statewide coalition of historical organizations commemorating the sesquicentennial. (The book contains a very rare image of Beaver’s Col. Richard Roberts, killed at Gettysburg.) His co-authors are Michael Kraus, curator of collections of Soldiers and Sailors Memorial Hall and Museum in Oakland, and David Neville, a military historian specializing in the Civil War and publisher of Military Imagesmagazine. 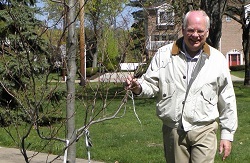 Turner also is a researcher for the Time-Life, an appraiser for militaria for Channel 2-KDKA TV’s Pittsburgh’s Hidden Treasures. May 4-5, 2013 – The Heritage Museum is a proud participant in the weekend’s Beaver County History Celebration on the theme of “The Home Front: After the Civil War.” The event, organized by the Beaver County Historical Research and Landmarks Foundation, promotes more than 15 Beaver County historical sites which will be open to encourage students and adults to experience the vast history of the region. For more information, visit this link. 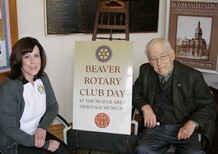 April 28, 2013 – Members Alicia Field and Harry Kunselman serve as greeters during Rotary Club of Beaver Day at the Heritage Museum, one of four such days this year that Rotarians will greet visitors as part of their commitment to community service. Field is an officer with Hancock County Savings Bank, and Kunselman is a partner with the Strassburger McKenna law firm. 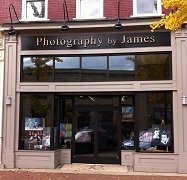 This is the local Rotary Club’s third consecutive year of partnership with the museum. April 27, 2013 – In observing its 17th annual Arbor Day Celebration, held in Beaver’s Irvine Park gazebo, Mayor Thomas Hamilton reads an Arbor Day proclamation, and a tri-color beech tree is dedicated in the name of longtime Heritage Museum trustee and Beaver Borough Manager Charles Copeland “for his years of community contributions” and as an “encyclopedia of information about the town of Beaver.” Poetry readings, a student poster contest, prizes and refreshments are part of the celebration event. April 21, 2013 – “The Great (Miniature) Railroad” – Beaver County Times – montage of photographs of the “Trains, Trains, Trains!” exhibit at the Heritage Museum. April 13, 2013 – At a special dinner honoring Beaver Area School District students who are members of the Junior Reserve Officers Training Corps (ROTC), President Carl Neely of the Heritage Foundation presents a special “Citizenship Award” and certificate to Katie Stark in recognition of her community service endeavors. April 13, 2013 – Six History Club members from Geneva College assist in a spring cleanup at our museum and log house campus to fulfill a college requirement for performing a service project. The history majors rake, haul, weed, trim, sweep and clean for several hours, followed by pizza, cookies, legal beverages and a warm fire in the log house. Museum volunteers overseeing the work are Jean Lloyd, Bob O’Dell, John McLaughlin, Judy Reiners and Midge Sefton. April 10, 2013 – Margie Carver-Stuck, who retired after three decades with the Beaver Area School District as a fourth grade science and language arts teacher, has been elected to the board of trustees of the Heritage Museum. A longtime resident of Beaver, she will lead the museum’s educational outreach to local public and private school districts. April 9, 2013 – Millie Terlizzi, a 39-year employee of Heritage Valley Health System, has joined the Heritage Museum as director of volunteers. She retired as director of Volunteer/Auxiliary and Employee Activities in 2010, and had broad-brush administrative experience while at the Medical Center. Her work there included positions in human resources, and public relations (during the original merger of the three hospitals into the Medical Center), and she began her career in accounts receivable. She also has board of directors governance experience, having served on the boards of the United Way of Beaver County and the Beaver County Tourist Promotion Agency. March 28, 2013 – On John Nuzzo’s morning radio talk show on stations WBVP-WMBA, sponsored by Huntington Bank, Beaver Station chair David O’Leary and Heritage Museum chair Mark Miner talk about all things Beaver Station and the museum’s new “Trains” display, and field a call about a historic district property in Aliquippa, PA..
Dec. 2, 2012 – From 3 p.m. to 8 p.m., the log house at the Heritage Museum — decorated in a Civil War theme of the 1860s — will be open for the Saints Peter and Paul Church’s Annual Christmas House Tour. Re-enactors from the 63rd Pennsylvania Volunteer Infantry will return home on furlough for the holidays, and their ladies will demonstrate hearth cooking in preparation for the Christmas feast. Enjoy a cup of hot mulled cider heated over the open fire and enjoy the sights and smells of Christmas traditions of the 19th century. 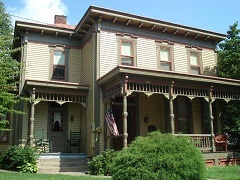 Nov. 18, 2012 – Several hundred members and friends, along with representatives of Sewickley’s Sweetwater Center for the Arts and the Beaver County Genealogy and Local History Center, attend an open house at Beaver Station. Nov. 10, 2012 – Between now and Dec. 2, when the Heritage Museum closes for the year, a small model railroad display will be on display, featuring five concentric tracks with moving miniature trains. This is a perfect venue for families with children and will be a lead-in for the 2013 exhibit featuring a broader variety of miniature railroad layouts with strong safety message for youngsters. The museum will re-open next year on Palm Sunday, March 23, 2013. November 2012 – The Heritage Museum and several of its volunteers are mentioned in the acknowledgements section of a new book written and published by retired National Geographic editor Priit Vesilind. Entitled Our Book: Growing Up in Beaver, Class of 1960, it is the definitive account of adolescent life in a small Western Pennsylvania hometown community during the era of the 1950s, and is based on original research that the author conducted in the museum’s permanent collections and archives. 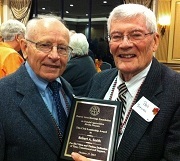 Oct. 27, 2012 – At the Heritage Foundation’s annual “Charter Day” dinner, Robert “Bob” Smith receives a lifetime achievement award from president Carl Neely for his many contributions over many decades — creation of the award-winning museum; Streetscape; clock tower; Beaver Town book; Beaver Station renovation; registry of Beaver as the National Historic District; re-dedication of the Fort McIntosh site with Gen. William Westmoreland in 1978; and much, much more. Oct. 23, 2012 – Beaver County Times – “Benefactor Helps Foundation Save Historic Home’s Features” – mentioning museum trustees Mildred Sefton (with quotes) and Charles Copeland [ link ] as well as a related video clip [ link ]. 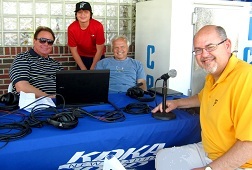 Talking about the museum live on KDKA Radio, l-r: Rob Pratte, Robbie Pratte, Ted Arneault and museum chairman Mark Miner. 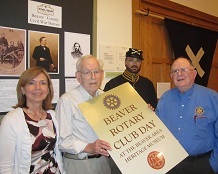 June 10, 2012 – For the second time this year, Rotary Club of Beaver volunteers serve as special greeters on “Beaver Rotary Day” at the Heritage Museum as part of its ongoing commitment to local community service. Participating on behalf of the local Rotary Club are Alicia Field, Diana Neel, Bill Elliott and Bill Wilson. Rotary also will serve as greeters later this year on Sunday, Aug. 5 and Sunday, Oct. 14. May 28, 2012 – The annual Memorial Day Parade is held in Beaver, sponsored by the Beaver Area Heritage Foundation. Active and retired military veterans participate, including members of the Tuskegee Airmen organization, Syria Mosque Drum & Bugle Corps and a flyover by the 911th TAC Airlift Group.. A decorated bicycle contest is sponsored by Snitger’s Bike Shop.The popular Memorial Program follows in Beaver Cemetery, featuring guest speaker Dr. William H. Silver, Senior Pastor, Bridgewater Presbyterian Church. April 15, 2012 – Members of the Rotary Club of Beaver serve as museum greeters as more than 125 people flock to view the “Civil War in Pennsylvania” exhibit — the first of four Sundays duing the year that the Rotary Club will provide volunteers at the museum, fulfilling an important hands-on community service role with the opportunity to be visible to all-new audiences. April 6, 2012 – The Heritage Museum and “Civil War in Pennsylvania” display are mentioned frequently during an interview between Rob Pratte of NewsRadio 1020 KDKA (Pittsburgh’s largest AM station) and Andy Masich, CEO of the Senator John Heinz History Center and chairman of the Pennsylvania Historical and Museum Commission. Feb. 26, 2012 – Rob Pratte of NewsRadio 1020 KDKA (Pittsburgh’s largest AM station) interviews Heritage Museum chairman Mark Miner about plans for preserving and renovating the former Pittsburgh & Lake Erie Railroad station building in Beaver. 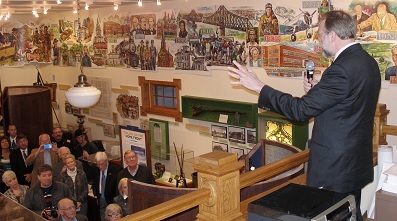 Feb. 20, 2012 – In the first partnership of its kind, the Heritage Museum has teamed with Pittsburgh’s Heinz History Center — an affiliate of the Smithsonian — to showcase the “Civil War in Pennsylvania” exhibit in Beaver. The exhibit will run locally from March 31 through Labor Day commemorating the 150th anniversary of the war. From March 31 to April 22, the display will feature three life-size historic figures, plus Dog Jack, along with modular panels describing Pennsylvania’s contributions to the war. Also included will be curriculum materials that meet Pennsylvania and U.S. social studies standards, and other hands-on educational objects, such as replicas of historic items, for students to explore. From April 28 through Labor Day, the museum will display artifacts and exhibits from its own Civil War collections. Eaton Corporation is the local corporate sponsor of the display, which is presented by Peoples Natural Gas and supported by the Institute of Museum and Library Services. Nov. 23, 2011 – Pittsburgh Post-Gazette – “Old Photos Tell Story of Beaver County’s Past” – Feature story about the museum’s 2011 summer/fall display, “Beaver Valley Album.” Mentions Heritage Museum volunteers Arthur Cornell, Adam Fitz, John McLaughlin, Mark Miner, Robert O’Dell and Mildred Sefton, as well as exhibit curators Kevin and Barb Cooke of Graule Studios. Link. Nov. 20, 2011 – The Heritage Museum proudly hosts Beaver Rotary Club Day, with local Rotarians Alicia Field, Bill Elliott and Bill Wilson volunteering as greeters on a Sunday afternoon. This novel partnership between the museum and Beaver Rotary not only provides needed volunteer manpower for the museum but also gives the Rotary Club an opportunity to fulfill a hands-on community service role and to be visible to all-new audiences. The museum extends its gratitude to Beaver Rotary for embracing this opportunity and looks forward to working together next year. Nov. 10, 2011 – Representing the Beaver Area Heritage Museum, board of trustees chair Mark Miner accepts a $500 check from the Beaver County Foundation’s Charles “Chick” O’Data, as a donation from the Foundation’s 2011 Ben Franklin Award winner Thomas J. Bryan III, owner of Tri-State River Products. The annual award honors local companies that best capture Franklin’s pioneering and entrepreneurial spirit. The funds are a dividend from an original $5,000 investment by Franklin in 1790 to be held in trust for the citizens of Pennsylvania.  In 1991, the funds matured at a value of more than $2 million and were distributed to community foundations throughout the commonwealth. KDKA Radio host Rob Pratte, left, with museum leaders Edwards McLaughlin and Stacey Sullivan, in a Father’s Day interview. May 8, 2011 – Beaver County Times – “Monumental” – Front page photograph story about the dedication of the new historical marker at the site of Fort McIntosh on River Road in Beaver. Parade by the Old Guard color guard and fife and drum corps on Market Street in Beaver, followed by the Junior ROTC from Beaver Area High School, and other military re-enactor groups of the Revolutionary War and Civil War eras. May 7, 2011 – In only its fourth appearance in Beaver since 1978, the Old Guard (Presidential Honor Guard) from Fort Myer, Washington, D.C., visits Fort McIntosh and helps dedicate the new monument donated to the town by Tom Bryan of Tri State River Products and constructed by Boehmer Concrete and Masonry Company. At the conclusion of the event is a fireworks display by Zambelli Fireworks. Robert Smith serves as master of ceremonies. May 7-8, 2011 – The Beaver Area Heritage Foundation partners with the Beaver County History and Landmarks Foundation in a celebration of “Beaver County History Day,” as proclaimed by the County Commissioners, involving 18 historic sites in the area open that day for all to enjoy our shared heritage. Click to see all past issues of Foundations back to 2006. © 2019 Beaver Area Heritage Foundation. All Rights Reserved.